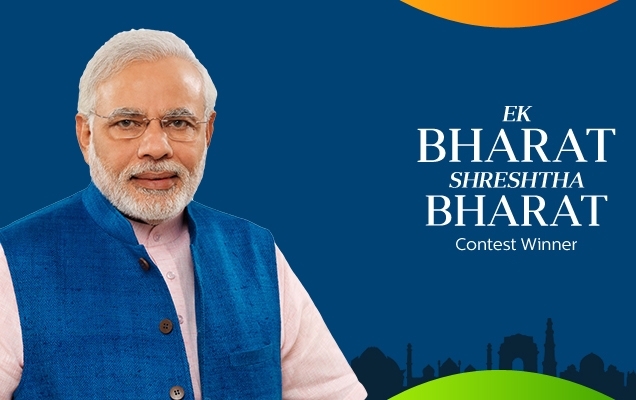 On the occasion of Shree Vallabhbhai Patel’s birthday, our honourable Prime Minister Shree Narendra Modi had announced a program name ‘Ek Bharat Shreshtha Bharat’. The program is all about mixing up the diverse cultures that the nation has and make one super India. The program is solely designed to make people of one state aware of the cultures and language of another. The program will be set for one year and concentrate on the students of participated states. The program is inspired by the ideologies of Shree Vallabhbhai Patel who had played an important role in freedom fighting. The program is to promote the culture and language of each state of the nation. Every year one state will pick another and promote its local cultures and language. Indian government has made a special committee to look after this program and related issues. Students are the main participants in this program. Potential students need to travel from their own state to the chosen state to learn and exchange the culture and language. The main objective of this program is to promote the different cultures our nation carries. There are more than thousands languages are being spoken in India. A lot of people are not aware of other societies, cultures and the variety of languages. So this program has been started to let people know about the other parts of the nation. The benefit of starting such project is now one state will promote the other state every year. Also it will be quite beneficial for the students who will travel over their states to meet new people and experience new life. This initiative will help them to understand the life and people more closely than before. EBSB – how does it work? The program will be considered as an educational program. Id for example Haryana picks up Tamil Nadu, as said by the PM in his speech, and then students in Haryana will be trained nearly 100 Tamil sentences, one Tamil song and other Tamil Nadu related cultures like food and such. Also in Tamil Nadu, students in schools will be skilled with 100 Haryanvi sentences, one song and food and other cultures. After a year the students form one state will travel to the connected state and take part in their cultural programs, food festivals and so on to know more about their cultures. The same event will take place in former state as well. In this way each year each state will connect to another. If in 2016, as stated by the PM, Haryana connects with Tamil Nadu, in 2017, it can pick West Bengal, then in 2018 it can pick Gujarat or any other state to connect. In this way all the states will connect to each other in next few years and will start promoting each other’s cultures and life. By initiating this unique program, PM will bring all the cultures and values into one frame and make a one big family called India. The government of India has started a contest regarding this program to encourage common people to propose their ideas. Because the program is to promote the culture of different states, government wants to know from the inhabitants that how do they can develop the process of the program, so this contest is announced. According to the guideline of the contest, a common citizen can submit an entry by proposing an innovative idea by implementing that the program can be better. Also they can light up the points such as how state and central government will work on this, how private sectors will help in the program, how modern communication tools can be used here and so on. Language barrier has for long prevented free mingling of artists from all parts of the nation. It is impossible for a person living in Hyderabad to know all local dialects, spoken in other states. But the central government has figured out a new way that will eliminate this language issue. With Ek Bharat Shreshtha Bharat Scheme, artists from one state will be able to visit and interact with performers from another state. It will not only bridge the language divide, but will also help in intermingling of cultures. The Ministry of Culture has paired one state with another region. But West Bangla has been left out of this arrangement.